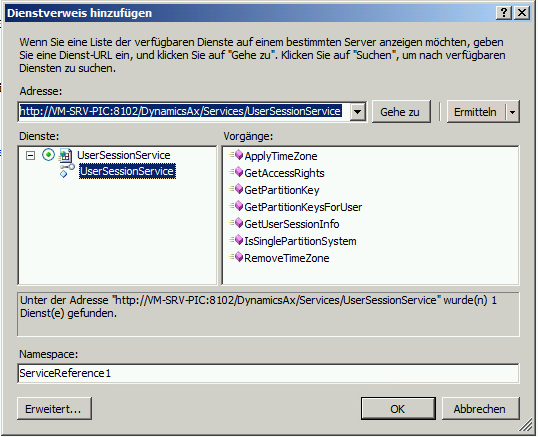 When you upgrade from Dynamics AX 2012 RTM / FP to R2 and start upgrade your reports in Visual Studio, your might run into an error telling you that the GetPartitionKey action was not found in the UserSessionService. Partitions were introduced in R2 and therefore the UserSessionService has changed and got new methods. However, the WSDL interface definition is the old one and you need to update the interface description. You might open the XML and go all the way through the files until you got the operations, or just feed the URL to Visual Studio. 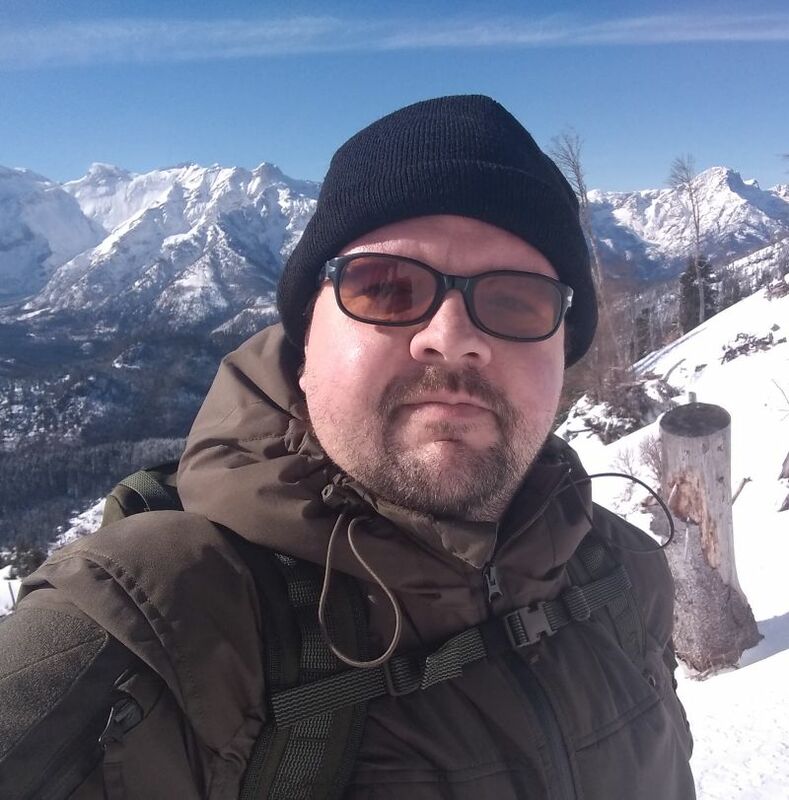 Create a new C# console application, add a service reference and provide the URL. 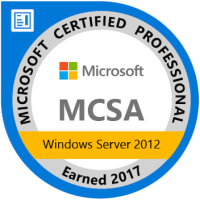 If your WSDL definition is out of date your service reference looks like this. 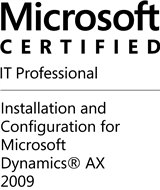 Go back to Dynamics AX development environment. 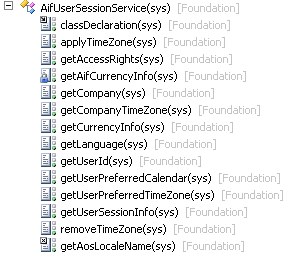 Compile the AifUserSessionService class in X++ and incremental IL. Make sure there are no errors in your application. 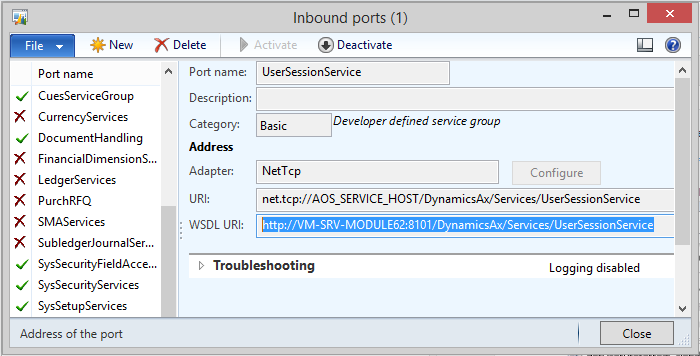 Go to the services node in the AOT and select the AifUserSessionService. 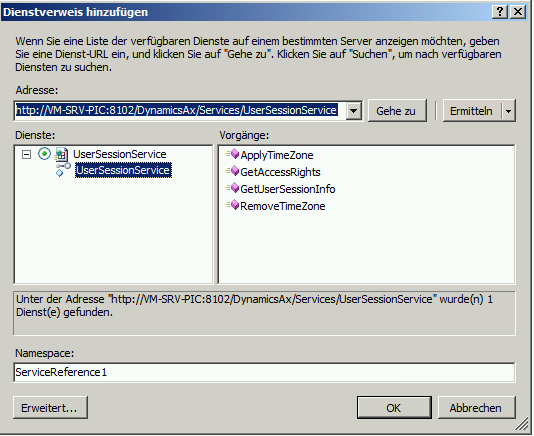 From the context menu click Add Ins > Register Service. Go to the service group node in the AOT. 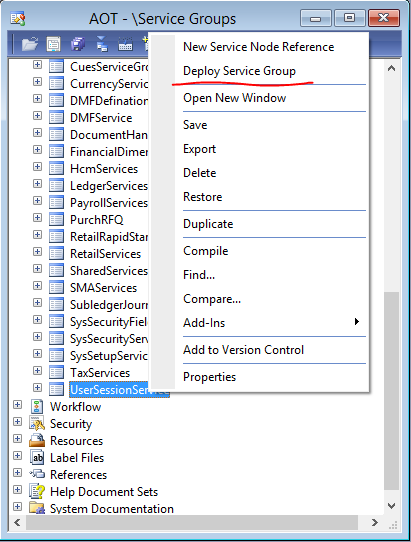 Select the UserSessionService group. From the context menu click Deploy Service Group. You will see the infolog popping up telling you that the .NET artifacts have been generated and deployed. Go back to Visual Studio and refresh the service reference. The service has the same WSDL URL as before but the inferface has changed. 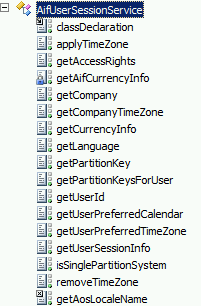 Now you should see more methods including the GetPartitionKey.